7" 1-0 : Baines trips Doherty in the box and that is a spot kick. 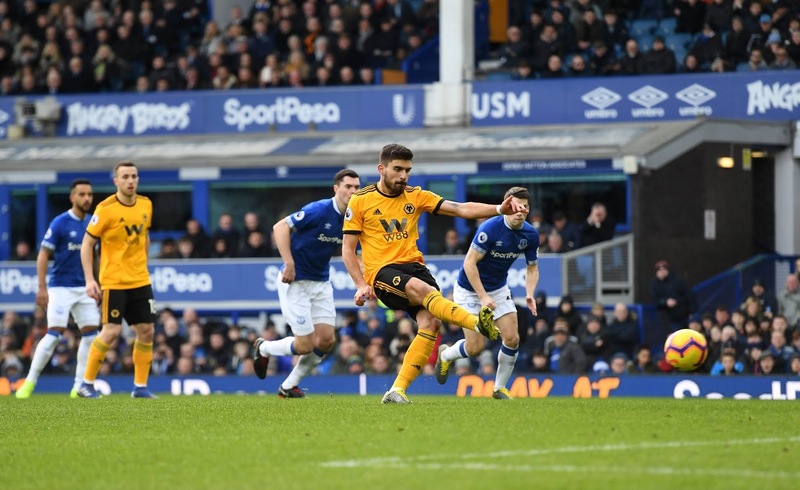 The Wolves wing back charged forward into the area, only for his run to be ended by Baines' clumsy challenge and Mr Mason had no hesitation in awarding the penalty. Neves keeps his cool to send Pickford the wrong way from the spot to score his third Premier League goal of the season. 27" 1-1 : Everton are level, and out of the blue as Sigurdsson finds Gomes, but the Portugal international still has a lot of work to do. 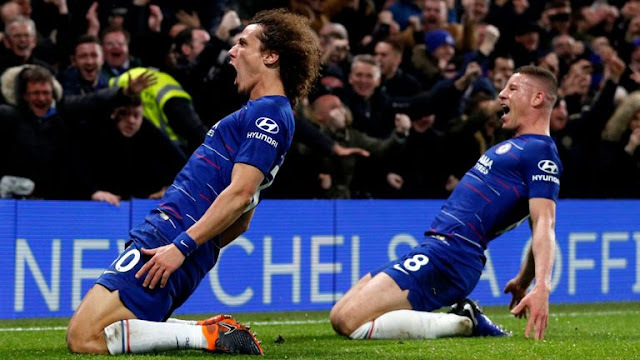 However, the midfielder strides forward, before unleashing an absolute piledriver from the edge of the box that flies past Patricio into the roof of the net for his first Everton goal. 45" 1 - 2 : Moutinho takes the resulting free kick and the Portuguese chips an inviting ball into the six-yard box, where the unmarked Jimenez buries his header past Pickford for his 11th goal of the season - how easy was that? "Nothing else matters," said manager Nuno Espirito Santo. "They are very strong. They have a strong squad, very talented players, a very good manager, a very tough stadium to go to; the atmosphere at Goodison Park is really tough for the opposing team and we expect a very difficult game." "(Wolves) will be a good test for us as a team, not just offensively or defensively," Silva said. "We have to be stronger as a team and stronger than them in all the moments of the match. "We know they are strong in the counter-attack with a solid block and fast players. Every moment you have the ball and are trying to create you have to take care of that and have good balance."